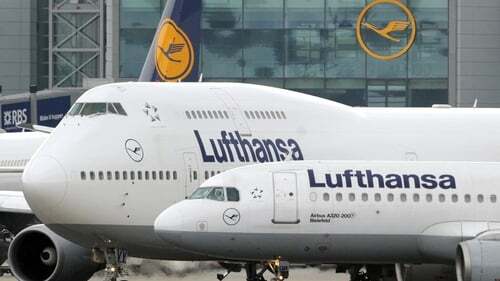 Lufthansa will add a third daily service on its Dublin to Munich route next summer. The additional daily flight means that Lufthansa’s service between Dublin and Munich will increase from 13 to 19 flights per week representing an increase in capacity of over 45% when the summer schedule begins on March 31 next year. Lufthansa has more than doubled services from Dublin to its hubs in Frankfurt and Munich in the last 4 years, adding 26 additional frequencies to reach a total of 47 flights per week. The new flight will operate five days a week, with the inbound service operating Monday to Friday and the outbound service operating Tuesday to Saturday. The route will be served by the Airbus A320 aircraft family. Andreas Koester, Senior Director Sales UK, Ireland & Iceland, Lufthansa Group, said, "Dublin is a key destination within the Lufthansa network and is of growing importance. We have increased frequency on both our Munich and Frankfurt services in 2018 due to continued growth in demand." "This additional service further increases flexibility for business and leisure passengers, with early morning departures and late evening arrivals allowing for one-day business trips, as well as greater access to connecting flights to global destinations," he said.